Across the world, it’s becoming clearer that development goals must be urban goals. As their populations and global connections grow, cities account for an ever-growing portion of the global economy. But despite their prominence, cities can’t do it alone. Local authorities are often constrained in pursuing sustainable development by national governments, which exert considerable but fragmented influence over critical policy areas. National governments often unknowingly implement urban policies that are not aligned across different sectors or ministries, and in fact run counter to local agendas. In order to capitalize on the current rapid pace of urbanization and build thriving cities for all, national governments must ensure that transport and housing policies, in particular, support and enable cities, rather than hold them back. Doing so is not only key to achieving the New Urban Agenda, but the Sustainable Development Goals and Paris Agreement too. A new paper from the Coalition for Urban Transitions, London School of Economics, and Organization for Economic Cooperation and Development explores the ways in which urban transport and housing policies are integrated – or fragmented – in 10 case study countries. The paper finds that compact, connected cities require many different policy areas to work well together. By uniting urban policies across ministry boundaries, the outcomes in each area will be more effective. Policy integration is difficult because many governments don’t have enough capacity to coordinate across ministries or they silo their administration in a way that makes it harder to do so. In Colombia, for example, the national government is responsible for setting transport, housing and urban policy, but regional governments are responsible for implementation. In Nigeria and South Africa, responsibilities for urban development and planning are shared across levels of government, but in ways that overlap or create policy conflicts. The paper finds that of all the sectors, the weakest link between local and national policy is in transport and housing. A third of all urban dwellers worldwide – 1.2 billion people – lack access to safe and secure housing. The gap is worst in low- and middle-income countries, where some cities are growing so quickly that governments cannot build out services and infrastructure fast enough to accommodate new arrivals. In some countries where increasing housing is the primary objective, like China, Nigeria and Ethiopia, transport integration gets left behind. Mexico highlights the disadvantages of focusing exclusively on housing policies when intending to bridge the housing supply gap without considering other implications. The country’s urban growth has occurred largely on the periphery of metro zones at the expense of de-densifying center-city locations. Mortgage lending and housing subsidies contributed to sprawl by facilitating the construction of new housing on the periphery of cities. Between 2006 and 2013, in 46 of Mexico’s 59 metropolitan zones, more than 70 percent of new homes were built either on the outskirts or periphery. The high level of urban sprawl has made coordinated land-use and transport planning across neighboring jurisdictions a challenge. Going forward, the national government has adopted a more qualitative approach, limiting the construction of new houses in remote areas. When the focus shifts from quantity to quality, housing can be better linked to infrastructure, services and employment. Beyond housing, many countries have successfully linked transport policies and economic development strategies. Countries like India and Nigeria have focused on transport playing a key role in economic growth plans, as infrastructure expansion is seen as critical to enabling businesses to grow. And in the United States and Germany, fast and efficient transport networks are seen as important for economic competitiveness. Successful policy alignment can also improve social development objectives, such as education and accessibility. Countries like Colombia, China and South Africa view transport as a tool for territorial equity and national integration, helping to make economic opportunities, social spaces and services more available to everyone. One area of deficit found by the research is integrating environmental sustainability with transport planning. In India, priority is given to constructing inter-city highways while the environmental implications receive minimal consideration. High levels of sprawl create economic inefficiency and dependence on motor vehicles, leading to higher carbon emissions. 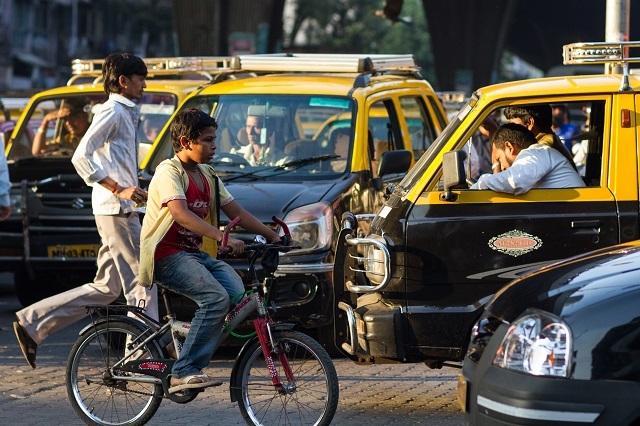 Between 2009 and 2014 alone, car ownership in India increased by 73 percent. As national governments work towards the New Urban Agenda, achieving the SDGs and implementing the Paris Agreement, it is important that they begin aligning transport and other urban agendas with environmental policies. From housing to transport and more, urban form greatly affects the economic, social and environmental performance of cities and countries. Better integration between local and national policies requires strong leadership and cross-sector collaboration, but can produce tremendous economic and social benefits. National governments must recognize the value in more compact, connected and coordinated development and understand how important policy integration is to capturing that value. Download “Integrating National Policies to Deliver Compact, Connected Cities: An Overview of Transport and Housing” from the Coalition for Urban Transitions. Rachel Spiegel is the Communications Assistant for the New Climate Economy. WRI is the managing partner of the global partnership of research organizations that makes up the New Climate Economy project.